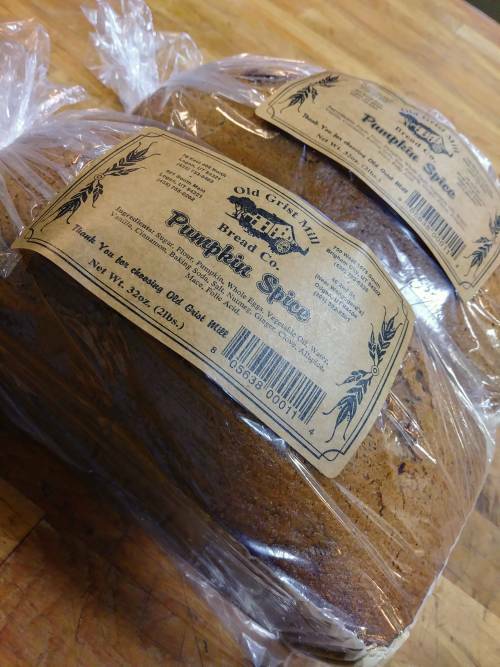 Moist, dense, & delicious bread, packed with pumpkin flavors and spice! This classic bread is consistently one of our bestsellers and always a holiday favorite! 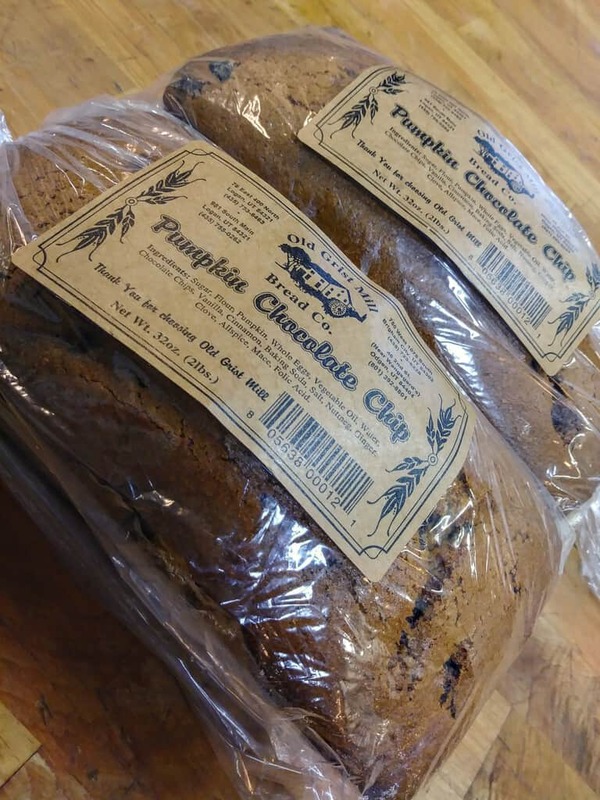 Ingredients: Sugar, oil, eggs, pumpkin, water, vanilla, white flour, wheat flour, salt, baking soda, pumpkin spice (chocolate chips).